I wanted to do this long ago but I was too busy. 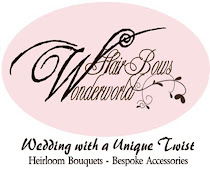 Now I am glad I can start to do this : featuring my fellow crafters every week in this weekly interview "hairbowswonderworld's weekend guests"
I've been admiring your bows for a long time, especially your fancy stacked boutique bows They are so well professionally made and simply gorgoeus. Could you please tell us a bit more about your work? Thank you Lynn! I began making hair bows after having my twin girls, like most mothers who couldn't find what they wanted, went looking for instructions. So I started making the little ones but found that I liked and was much better at the big layered ones. It also wasn't long after that my girls were wearing the big ones. About a year later began selling them on Ebay then Etsy. I get inspired by fabric, colors, new ribbons, themes, just about anything. What do you also make, beside hair bows? 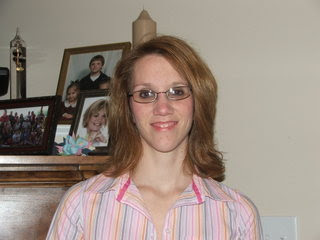 Right now I am just gearing up for some launches on Ebay for Back to School, Halloween and Fall. I am in the works of my own website. So be looking for that in the near future. I am slowly teaching myself how to sew. So who knows what that might bring! 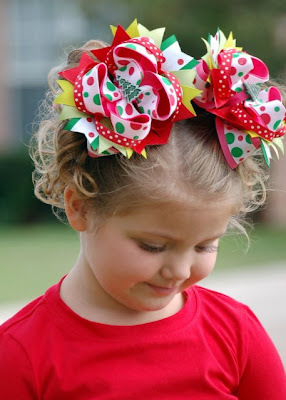 I also want to add a few more items to my hair accessories beside hair bows and woven headbands. Would you do custom work? What is your favorite item so far? 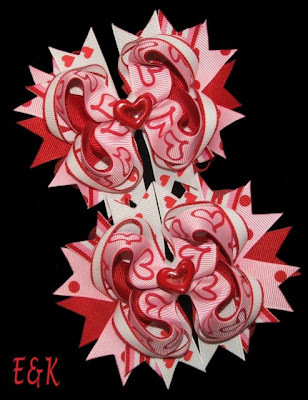 I have a couple of favorites but I think my favorite would have to be the Olivia the Pig bows that I just did and have lsited on Ebay as we speak. Thank you Shawn and good luck with your business and new website. We will look forward to seeing more of your beautiful creations!!! And to you my readers, if you have a moment spare time just click on the links provided above in this post or her blog to see Shawn's children Hair Bows World. As a fellow bow maker, I admire how beautiful her hair bows are, every single one is a piece of ART, I love how perky her loops are, how perfectly symmetrical every bow is. The way she coordinate colours and patterns, the way she uses the centers, all make her bows a kind of perfection, yet they're fun. 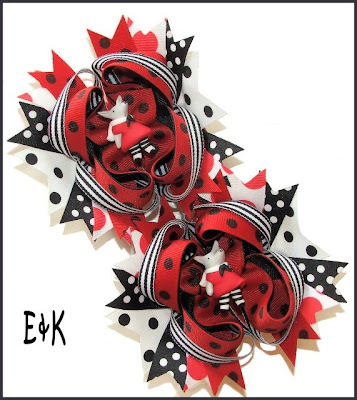 And every new bow she makes always brings me (who think she's seen it all LOL!) surprise. Shawn I love your work and I am sure you will be more and more successful in what you do. Shawn, you are one of the most talented bow makers I've seen! I can't wait to see what you teach yourself to sew! I've always admired your bows, you are truely an inspiration! Thanks so much ladies! Your sweet comments make me feel like I can do just about anything! Isn't she amazing? Shawn, I would love to see it when you sew, too :-)! You all are great! Hopefully once school starts again I can devote a little more time to the sewing.